Cosmetic dentistry is an area of dentistry in which functional, oral aesthetics is the focus. This encompasses many treatments but the main goal is to always improve the patients’ appearance, confidence and self-esteem, as well as their quality of life. 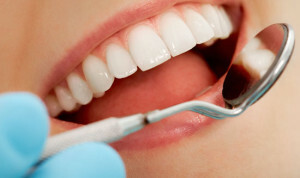 What are cosmetic dentists and what do they do? Cosmetic dentists should have knowledge on the latest techniques to make the patient’s oral appearance better. Thus said, cosmetic dentists are expected to have continuous learning through-out their career; especially with the advancement of technology. 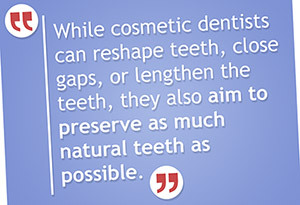 Whilst cosmetic dentists can reshape teeth, close gaps, or lengthen the teeth, they also aim to preserve as much of your natural teeth as possible. How do I choose which cosmetic dentist to go to? Doing a good deal of research before choosing a cosmetic dentist is very important. Make sure to check before and after photos of the dentists’ work, how long they have worked as a cosmetic dentist, whether they provides full mouth reconstruction, and what dental technologies are use when performing cosmetic treatments. Most importantly, check whether the is accredited and qualified to work as a cosmetic dentist. You can also ask your cosmetic dentist to give you an imaging of what the procedure might possibly look like after undergoing the treatment. However, it is important to remember that your Maroubra dentist will first examine your oral health before proceeding to perform cosmetic treatments. If they feel that some treatments need to be prioritised to address your oral health issues, you will need to undergo those procedures first to prevent any potential problems. Once your oral health issues are addressed and treated, the dentist may then perform your preferred cosmetic treatments.